← Carbon monoxide, healing gas? In the distant past curious humans discovered probably playing with grass blades that strands could be weaved together to form a material. Snelson has an interesting observation concerning weaving. “The ancient invention of weaving reveals in a direct way the basic and universal properties of natural structure such as modularity, left and right helical symmetry, and elemental structural geometry. The above figures transformations convert static rigid structures into a tension envelope pre-stressed tensegrity structure. The beauty of Snelson’s discovery is that as an artist he was trying to balance sticks with elastic members discovering everything could suddenly hold together suspended yet with no touching. His first models were an inspiration like all art work. What is magical is that his models capture the shape that Nature uses to assemble things, which biologists have puzzled over for a long time. Snelson has revealed the Nature of shape in the structure as the shape senses itself as a coherent sense, a net of sensing. Although hisinsight happened in 1948 we are still coming to grips with the magnitude of his discovery of how Nature shapes itself. I will now go to a biologists thoughts on shape and tension from D’Arcy Wentworth Thompson’s book first published in 1942, ON GROWTH AND FORM , six years before Snelson’s breakthrough with tensegrity structures. ‘The cell, which Goodsir spoke of as a centre of force, is in reality a sphere of action of certain more or less localised forces; and of these, surface-tension is the particular force which is especially responsible for giving to the cell its outline and its morphological individuality. The partially segmented differs from the totally segmented egg, the unicellular Infusorian from the minute multi-cellular Turbellarian, in the intensity and the range of those surface-tensions which is the one case succeed and in the other fail to form a visible separation between the cells. From the moment that we enter on a dynamical conception of the cell, we perceive that the old debates were in vain as to what visible portions of the cell were active or passive, living or non-living. For the manifestations of force can only be due to the interaction of the various parts, to the transference of energy from one to the other. 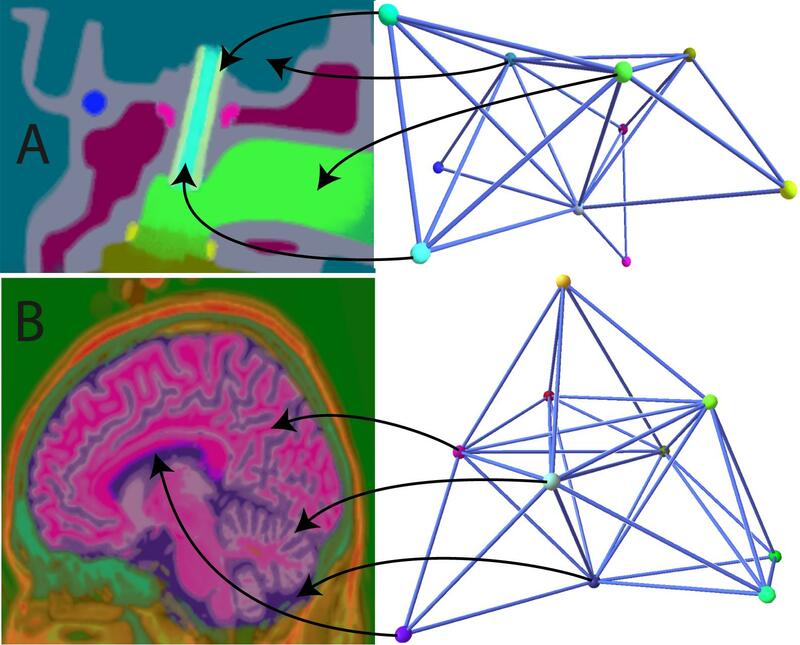 Certain properties may be manifested, certain functions may be carried on, by the protoplasm apart from the nucleus; but the interaction of the two is necessary, that other and more important properties or functions may be manifested. On the contrary it is quite certain that, whether visibly differentiated into a semi-permeable membrane or merely constituted by a liquid film, the surface of the cell is the seat of important forces, capillary and electrical, which play an essential part in the dynamics of the cell. Discussed almost wholly from the concrete, or morphological point of view, the question has for the most part been made to turn on whether actual protoplasmic continuity can be demonstrated between one cell and another, whether the organism be an actual reticulum or syncytium. But from the dynamical point of view the question is much simpler. We then deal not with the material continuity, not with little bridges of connecting protoplasm, but with a continuity of forces, a comprehensive field of force, which runs through and through the entire organism and is no means restricted in its passage to a protoplasmic continuum. And such a continuous field of force, somehow shaping the whole organism, independently of the number, magnitude and form of the individual cells, which enter like a froth into its fabric, seems to me certainly and obviously to exist.” D’ Arcy Wentworth Thompson just speculated on the obvious need for a tensegrity pre–stress network, don’t you think? 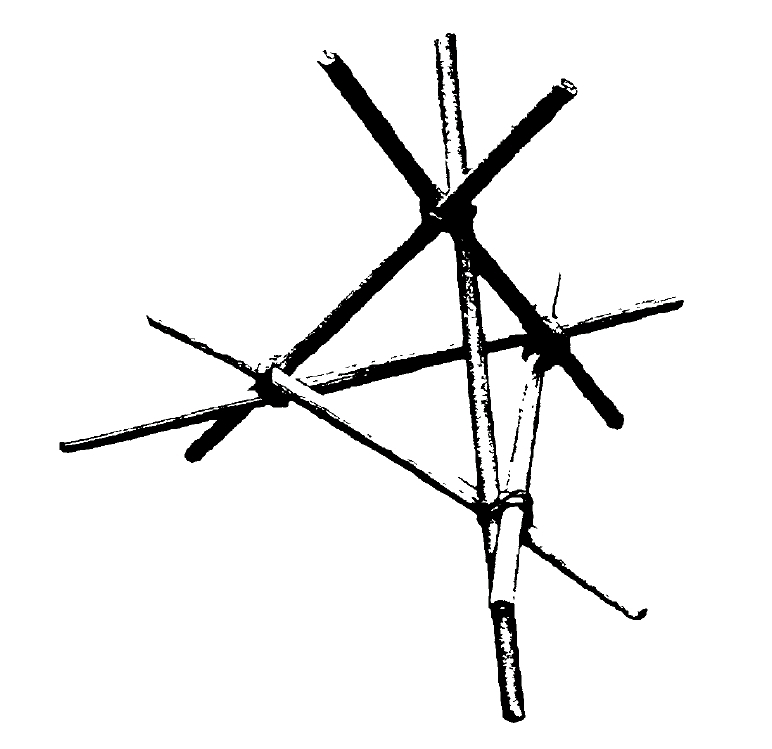 I think it is fitting that such a gifted artist, Kenneth Snelson discovered tensegrity revealing objects from sculptures to brains, to be held together without being in direct contact but maintaining a tension relationship within the essence of the basic unit of the structure, acting as a signaling/sensing unit. 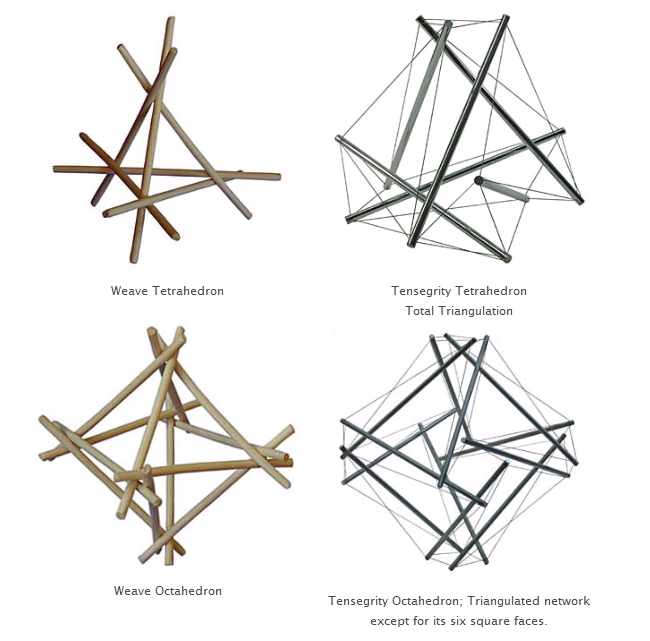 Like all great jumps of understanding of how things work together, you realize after that the observation of the significance that tensegrity is has always been there, it took someone real special, like Kenneth Snelson to reveal its essence the very first time for all of us to learn from. Go look at yourself in a mirror, you are a tensegrity sculpture.